The Chinese version of Kickstarter has an awfully strange surprise waiting for visitors who go to check it out. GameSpot reports a console called "Ouye" is being advertised there, and it appears extremely familiar. 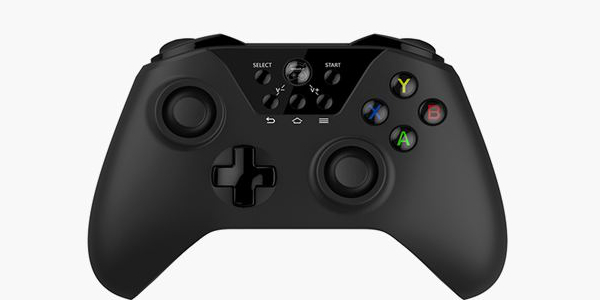 Obviously that's a riff on Ouya, which was recently added to the Razer line of products, but wait! That's not the only fishy thing about this. Ouye appears to have borrowed heavily from both the Xbox One and PlayStation 4, with a body that looks like a PlayStation 4 and a controller that resembles the Xbox One's. What was wrong with the DualShock controller, guys? Didn't dig the touch pad? The console needs $15,000 to be funded, and when the project is complete buyers will need to pony up $70 for the entire system, which comes with one controller. It's an actual product too, from a company called Shenzhen. It's also Android-based like the real Ouya console, but it's such a copycat that this design is already attracting negativity from the very same people who are supposed to be its audience. It's obviously a case of blatant copying, so hopefully the right people get in touch with the product's creators and issue some sort of mandate where this sort of thing doesn't have to happen. But it is China, after all, so it's not surprising -- these types of items are sold there pretty often, at least from personal experience, so it's unsure when or if the thing will get pulled, if it even gets funded. What is, perhaps, the funniest part of this whole ridiculous story, is the fact that the creators supposedly spent more than a year designing the Ouye. I'm not sure that it would take me a whole year to sit down and have the idea to combine three different video game systems for a Kickstarter, but perhaps the creators are mentally deficient. It doesn't matter, though. I don't have time for that. I'm working on my very own console: The Wii Y, and it will feature a touch screen I've been developing for three years, complete with motion controls. Oh, did I mention it's also an Android system? Yeah, that's right. You want to order three of them, don't you? In all seriousness, this doesn't seem like a very good idea for anyone. I'd caution against putting any of your hard-earned cash down on one of these babies. They're probably not going to come to fruition anyway.